Location: Laroquebrou, in the Cantal departement of France (Auvergne Region). Ownership / Access: Municipality of Laroquebrou. Notes: Château Laroque also told Montal, is a castle located in the Cantal Laroquebrou. It is established on a puech overlooking a bridge over the Cere (river) and control the old road to the Quercy and Limousin. The castle is the subject of a registration as a historic monument since 5 June 1972. 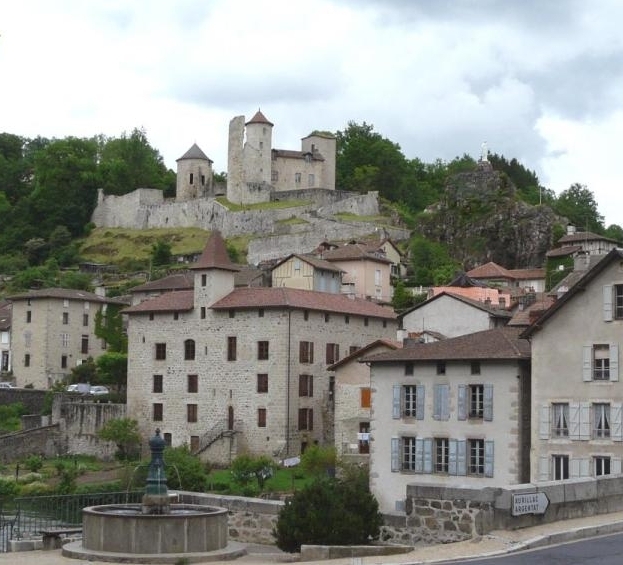 For Bruno Phalip, the current castle does not match the original castral site that was on a narrow outcrop shale and 30 meters high inaccessible from all sides and placed in the actuel2 town. The summit is crowned by a converted platform about 50 mothers where a square tower existed until 1653, when she was shot in the game. The first floor of this tower maintained a chapel dedicated to the virgin who is mentioned in the fourteenth century: "capelleam Bellatae Mariae Misericordiae castri of Rupebrou", which was demolished in 1887 and replaced by a large statue of the Virgin, so Laroquebrou that remains a Marian sites Haute Auvergne.